Growing up my sister’s boyfriend played a lot of baseball. There was no doubt that he was destined for the major leagues. During baseball season to show support my dad would treat my sister and all our friends to a baseball game at the Coliseum at least once a week. The Coliseum became like a second home. I loved it because it had this magical effect that once you sat down nothing else in life seemed to matter. Worries of that darn spelling test on Friday, laundry to be folded, or cleaning my room all disappeared. Any and every stress that life had to offer in a matter of seconds was gone. The only thing that mattered were the guys on the field. For a good two hours it was a guarantee that I could check out of everyday life. It was and still is the ultimate stress relief. There is absolutely no other substitute for it. I would take a baseball, football, or a hockey game over a message any day. Although I have formed some very close friendships with other teams; the Coliseum will always be a second home and A’s will always be in my heart. I am had a little rooftop get together to watch the A’s playoff game and wanted to create a green and yellow cocktail. It was Tuesday night, and I don’t want to be remembered by any of my guests with a morning headache – so I tried to keep this cocktail nice and light. 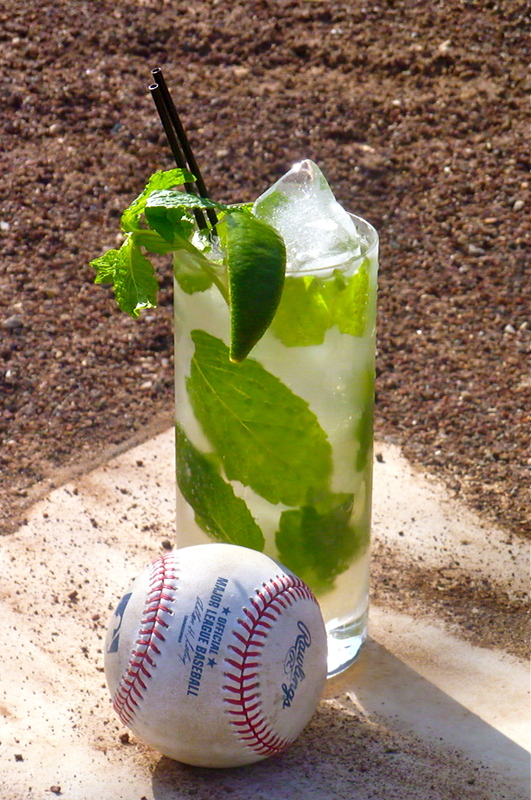 Muddle mint with lemongrass syrup and agave in a shaker. Add ice and tequila. Shake. Pour into a chilled collins glass filled with ice. Top with soda. Garnish with a lime wedge. Combine all ingredients with 2 cups water in a small saucepan. Bring to a boil simmer for 10 minutes. Fine strain lemongrass mixture into an airtight container. ** Fortaleza is incredible tequila. I prefer to leave out the agave in mine but some prefer the sweetness amplified.